LINDSAY – Residents in Lindsay were treated to some Russian intel last Wednesday night. 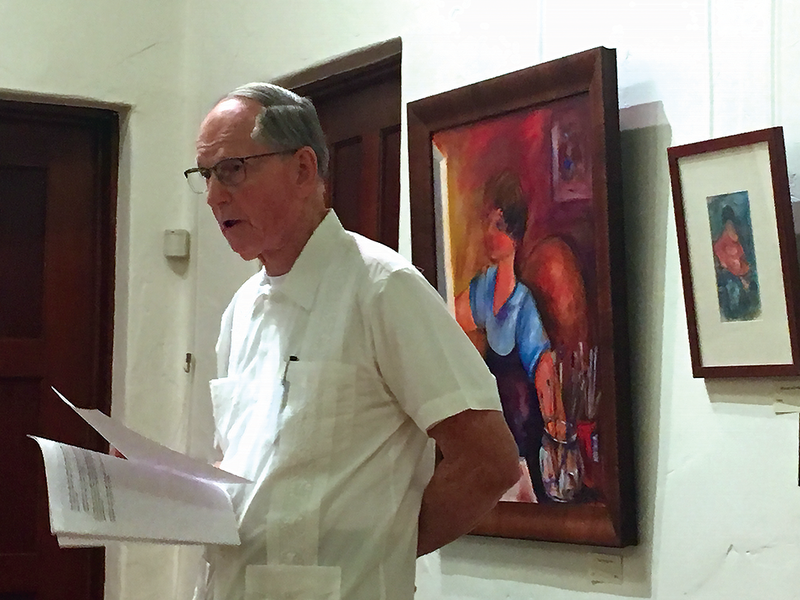 The Lindsay Cultural Arts Forum invited Visalia native and current Three Rivers resident Dr. Richard Combs to speak on whether Donald Trump should be Vladimire Putin’s best friend. As for his bona fides, Combs served three tours at the US Embassy in Moscow. In the State Department he served as principal deputy director of the office of Soviet Union Affairs and later as director of the office of East European and Yugoslav Affairs. While Combs is a fourth generation Visalian he was not afraid to reach beyond the Valley after attending College of the Sequoias. He moved on to UC Berkeley where he earned his MA and PhD in political science. Afterwards he spent 33 years in the federal government serving three years in the Army Counterintelligence Corps, 23 years as a foreign service officer with the State Department specializing in Soviet and Eastern European affairs, and then seven years as foreign policy advisor to Senator Sam Nunn. Senator Nunn served as chairman of the Senate Armed Services Committee during Combs’ time with his office. After his years in the Senate Combs spent three years as a program director and research professor at the Monterey Institute of International Studies, before retiring in Three Rivers. While he has found his long-term home in the mountains nearby, he is still keeping tabs on what is going on over sees. Combs continues to watch Russia’s state news every night which gives him a perspective of the Russian citizen’s attitudes as well as the intent of the ruling power to influence that attitude. And by the end of his lecture on Oct. 10, Combs ultimately concluded that Donald Trump should not be Putin’s best friend. “A close personal relationship between Trump and Putin would be fraught with danger for the long term interests of the United States, and therefore should not be a goal of the Trump Administration,” Combs said. Combs says the long-term goals of Trump and Putin are not complimentary, instead they are in fundamental conflict. He said that while Trump wants to make America great again, Putin wants to make Russia great again and Putin’s outlook has been shaped by centuries of Russian history that is remarkably different from American history. As well, Putin wants to assert Russia’s global leadership and restore Russia as a military superpower. Worse yet, Putin sees America as fundamentally hostile and regards their bilateral relationship overall as a zero-sum competition for global influence. Combs threw in the personal differences between both leaders as a second reason the two should not have a close relationship. “Trump has demonstrated that he can be swayed by personal compliments and praise. Putin – a clever and experienced former KGB officer – is quite capable of exploiting this character trait,” Combs said. He added that the time both men have spent as leaders creates a divide that cannot be bridged if the U.S. wants to expand its role on a global stage.